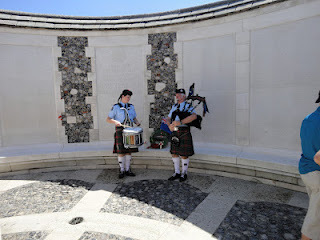 After performing at the prestigious Basel Tattoo in Switzerland the Auckland Police Pipe Band visited the battlefields of Flanders recently, under the expert guidance of our good friend Freddy Declerck. 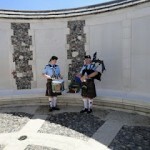 The 43-strong group of Band and supporters visited Comines-Warneton, Ploegsteert, Passchendaele, Messines, Tyne Cot and Polygon Wood. 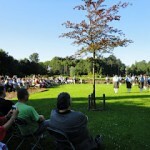 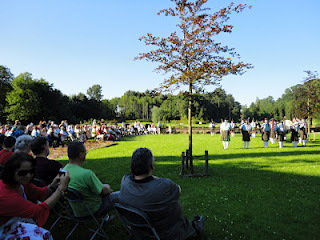 They joined with the Passchendaele Pipes & Drums for a splendid concert in the Passchendaele Memorial Museum in Zonnebeke on the evening of 23rd July, attended by a crowd of more than 350, and on Tuesday 24th July they paraded in full ceremonial dress at the Menin Gate ceremony in Ypres, when our own piper, John Graham, laid a wreath on behalf The Passchendaele Society. 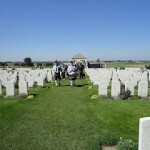 Our Secretary Bob Davis was the tour manager and flag bearer. 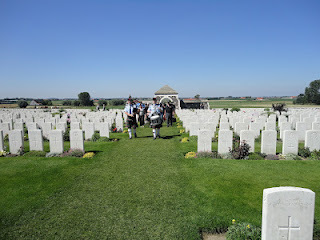 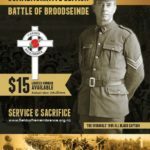 Visit these blogs “The Belgians Have Not Forgotten” and “Messines 1917” for more information and images.